They take care of all four conditions, I have mentioned above. In fact, the Arrays class also provide deepEquals() method to compare the two-dimensional array in Java. By the way, it's not restricted to just two-dimensional and also valid for any multi-dimensional array. In this article, we will see examples of comparing two String array, two Integer array, and two multidimensional arrays to learn how to use equals() and deepEquals() methods of java.util.Arrays class. Btw, if you are not familiar with the array data structure itself then I suggest you to first go through a comprehensive course on data a structure like Data Structures and Algorithms: Deep Dive Using Java on Udemy to get an understanding of basic data structures like an array, linked list, binary tree, hash tables, and binary search tree. In order to compare two integer array in Java, all you need to do is import java.util.Arrays class. This class contains two methods related to array comparison equals() and deepEquals(), both are overloaded to accept all primitive arrays and one version for accepting Object array. We need to use the equals(int, int) method to compare our integer arrays, as shown below. As you can see, I have defined 3 integer arrays, each of same size but different numbers. int even and meEvenToo are equal to each other because they are of the same type, same length, and contains the same number in the same order. While, int odd is not equal to int even because though they are of same type and length, their individual content is different. As expected equals(int, int) method of Arrays class produced correct result. Also, the difference between equals() and deepEquals() is a good Java interview question and asked into a couple of fresher and mid-level interviews. 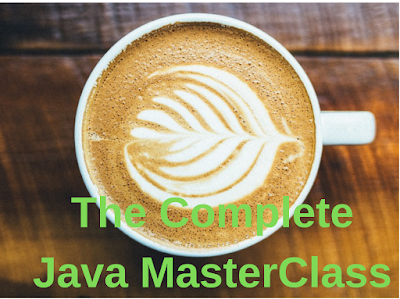 And, if you are new into Java and looking to Java specific things about the array, hash table, and other data structure, there is no better course than The Complete Java Masterclass, which is also the most-up-to course. As I said in the previous section that java.util.Arrays class has overloaded equals() and deepEquals() to accept object. Since arrays are co-variant, you can pass String to a method which accepts an Object, which is used to compare String array in Java. In this example, we have three string array of length 2, out of three String numbers and digits are equal because they also contain same values at similar index, but String numbers and numeric are unequal because their values at respective index are different. Remember, equality logic of individual object is handled by equals() method of that class itself, which means even string comparison inside the array is case sensitive. Comparing two unequal String arrays [one, two] and [one, two], are they same? If you want to learn more about equals() and deepEquals() method of Array in Java, you can also see The Complete Java Masterclass course on Udmey. One of the most comprehensive course to learn Java. Comparing multi-dimensional array is slightly different than comparing one-dimensional arrays because instead of Arrays.equals(), you need to use Arrays.deepEquals(). The tricky part is that the compiler will not catch your array of passing a multi-dimensional array to Arrays.equals() method, which also doesn't throw any exception and simply return false. This can lead to subtle bugs, sometimes very hard to catch. So, pay special care while comparing the multi-dimensional array and ensure that you have used deepEquals() and not equals(). 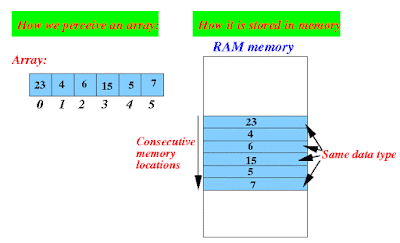 Here is an example of comparing the two-dimensional array in Java. If you want to learn more about two-dimensional or multi-dimensional array in Java, see Java Fundamentals Part 1 and Part 2 courses on Pluralsight. The first part covers basics like this and the second part covers more advanced concepts of Java Programming. Here is the complete code sample of how to compare two arrays in Java. You don't need any third-party library, just JDK. If you are using any IDE like Eclipse or Netbeans, then just copy paste this code in a Java source file, whose name matches with the public class name and run it. Alternatively, you can also run this from the command prompt. That's all about how to compare two arrays in Java. By using equals() and deepEquals() method of java.util.Arrays class, you can easily compare any arbitrary array in Java. We have seen examples of comparing String arrays, int arrays and multi-dimensional arrays in Java programs. One thing to note is that you must use deepEquals() method to compare two-dimensional arrays in Java, using equals() in such case does not produce the correct result. Do you know any other clever way to compare array in Java? Data Structure & Algorithms - Interview !! Thanks for reading this article so far. If you like this article then please share with your friends and colleagues. If you have any questions or doubt then please let us know and I'll try to find an answer for you. As always suggestions, comments, innovative and better answers are most welcome.